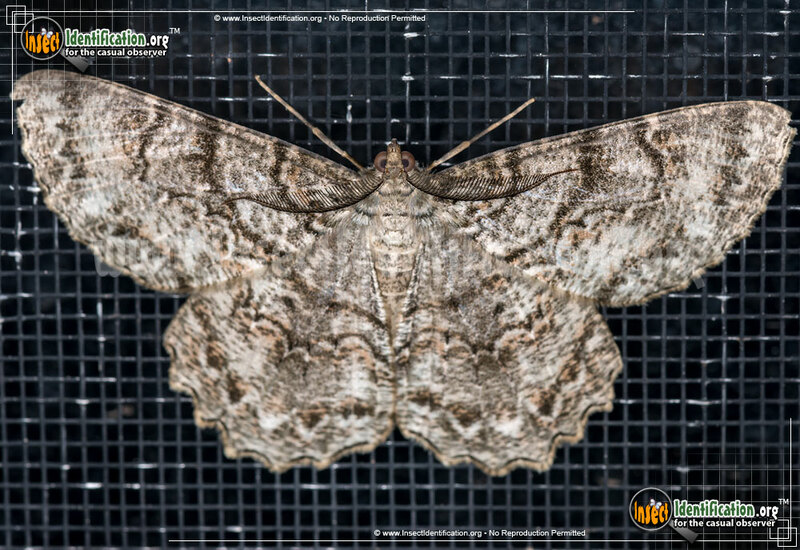 Detailing the physical features, habits, territorial reach and other identifying qualities of the Tulip-Tree Beauty Moth. The varied browns on the Tulip-Tree Beauty Moth gives it camouflage on more than just tulip trees. 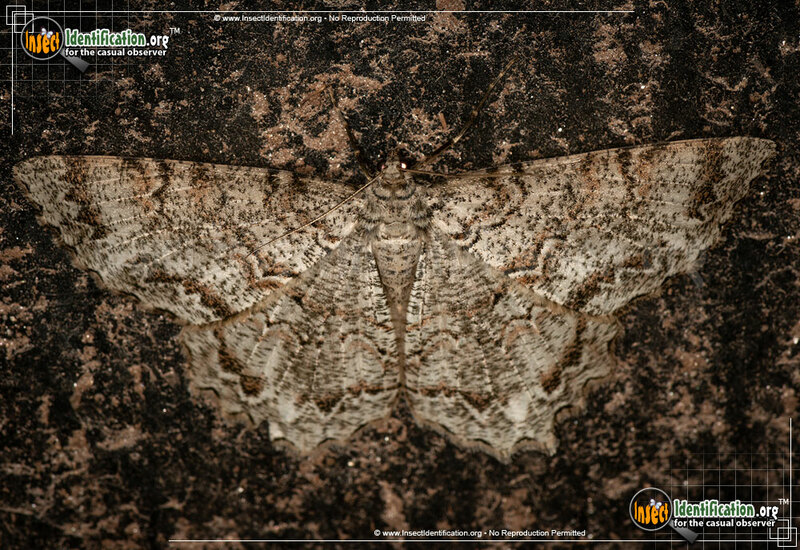 The brown and ivory coloring on this moth make it almost impossible to see when it is resting on tree bark. 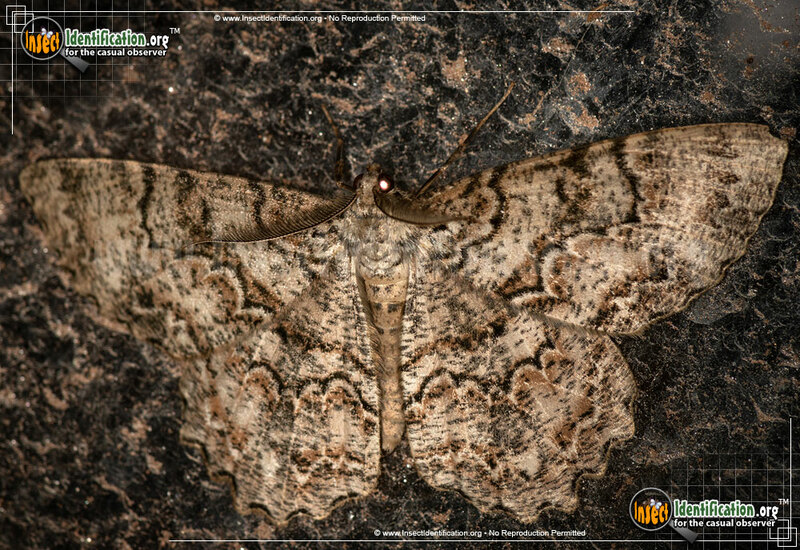 Its wings remain completely flat so it has a low profile. The zigzag patterns and scalloped edges blend in with the variations on a trunk. Though fond of tulip trees, this species' caterpillar also feeds on the leaves of yellow poplar, paw-paw, red bay, and sassafras trees. Adults are active from mid-spring through the summer and into early autumn in some regions. They are attracted to lights. The caterpillar is pale brown on top and whitish on bottom. Dark lines and spots decorate its dorsal side (back). Thin yellow rings around segments are sometimes visible. The head color ranges from bright yellow to muted brown with speckles. In the mid 1930's, the Tulip-Tree Beauty caterpillar ate the leaves off a majority of the sassafras trees growing in Connecticut. Damage on that scale has not been seen in these days.